Last week, Walt Disney World held a press event to detail its “Monstrous Summer,” including plans to integrate Pixar’s upcoming film Monsters University into Disney Parks. 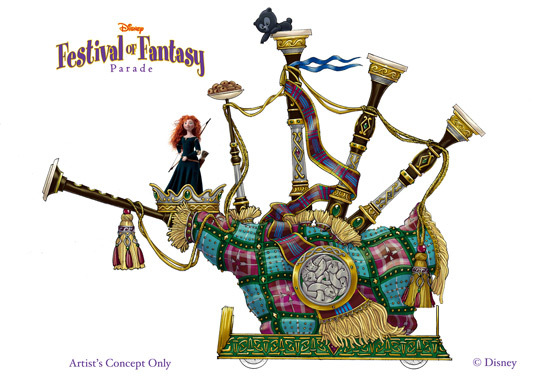 The campaign is also a way for Disney to raise awareness of the exciting attractions that were recently completed/updated. 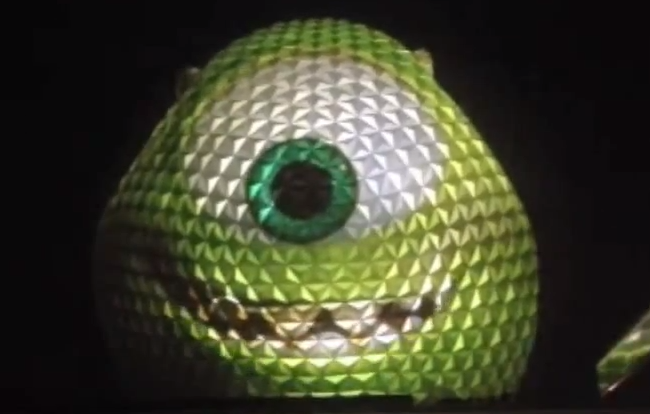 The event culminated in the temporary-but-still extraordinary transformation of Spaceship Earth at Epcot into Mike Wazowski. 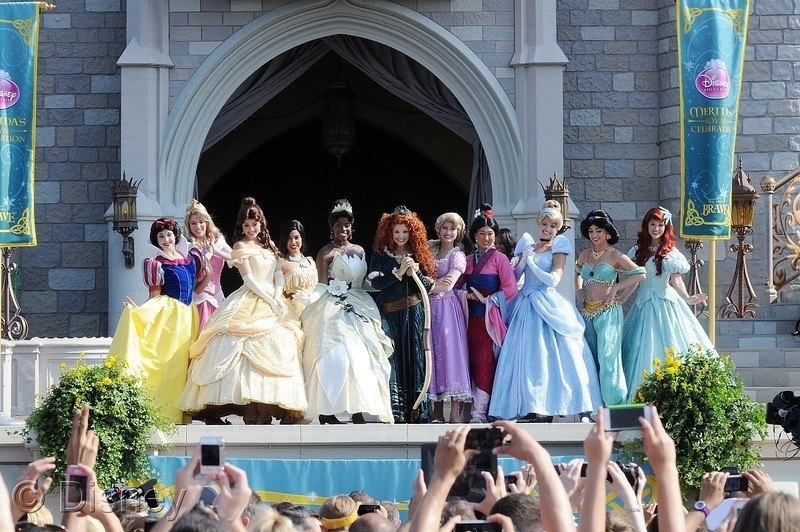 Take a look at how Disney was able to implement this tremendous spectacle, and learn who at Pixar helped make this a reality! Disney’s Hollywood Studios at Walt Disney World celebrates the golden age of the film industry, with its beautiful structures and classic theme. The park grounds used to house the home of Walt Disney Feature Animation Florida, which was responsible for the development of such films as Mulan and Lilo & Stitch. 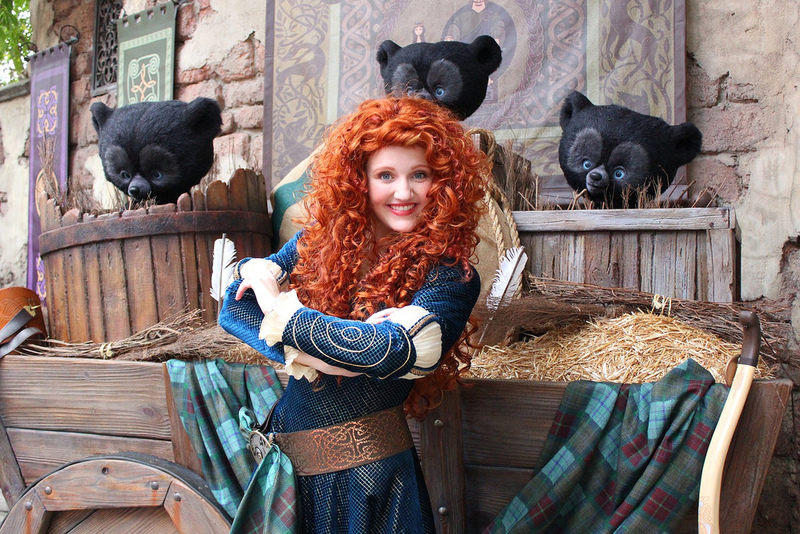 That production building was later converted into an attraction where guests can visit and learn how Disney animated characters come to life. There is also a showroom inside that displays concept art for upcoming films. Monsters University concept art was recently added, and you can take a look at the beautiful pieces after the break! 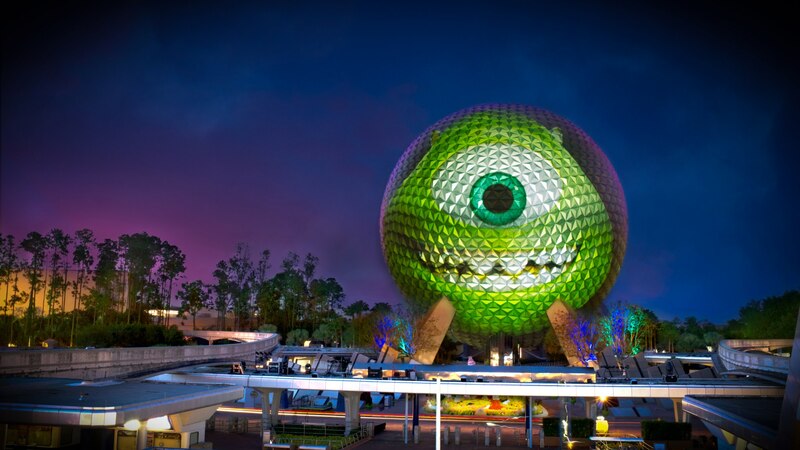 With a test video of Mike Wazowski taking over Spaceship Earth at Walt Disney World’s Epcot theme park leaking out yesterday, we were left wondering just what the spectacle was tied to. With Epcot closed for the night except to the press, a huge Mike projection was shined upon the iconic Epcot structure, to share the announcement that the Magic Kingdom park at Disney World and the Disneyland and California Adventure parks in California would all remain open for a 24-hour stretch at the start of Memorial Day weekend. Watch the gigantic Mike Wazowski make the announcement after the break! 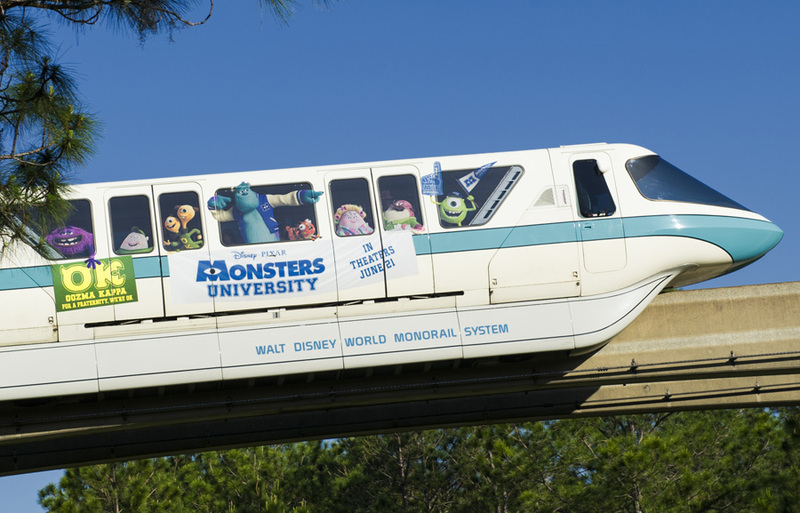 Just yesterday, Walt Disney World debuted the “monsterail,” a monorail at the resort that has been covered with Monsters University characters to promote the release of the upcoming film. 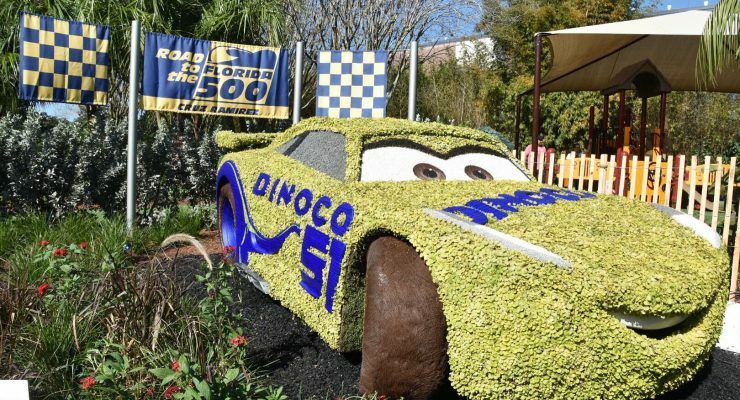 Also tying into the film is the “Monstrous Summer” campaign that is currently underway, to not only showcase the Pixar film, but to also emphasize the enormity of the various attractions and events around Disney resort this summer season. 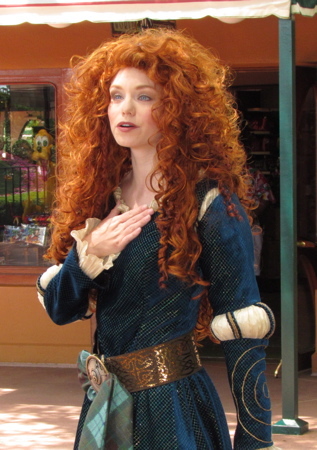 There is a press event being held at Disney World through Friday that discusses these aspects of the campaign. 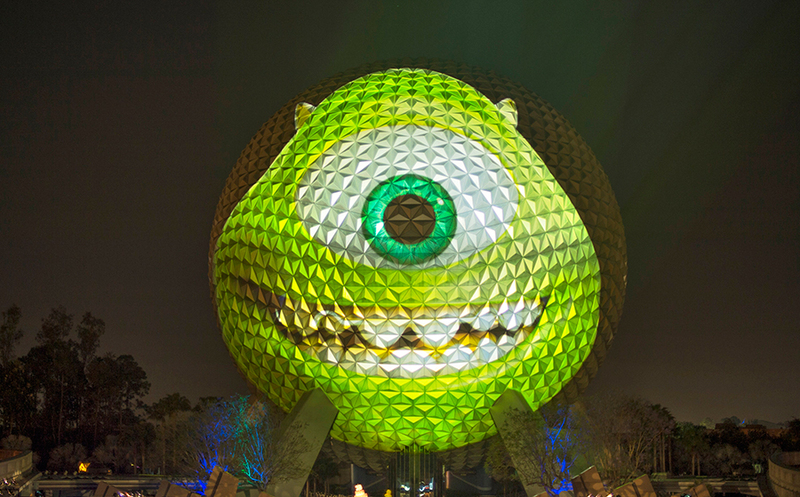 Connected to the event, a report has emerged that, in order to help launch the Monstrous Summer campaign, Mike Wazowski will be projected onto the iconic Spaceship Earth at Epcot. Watch how it will look in a video after the break!